Product prices and availability are accurate as of 2019-04-23 05:44:53 UTC and are subject to change. Any price and availability information displayed on http://www.amazon.co.uk/ at the time of purchase will apply to the purchase of this product. Special design and structure makes the black spider a different drown. 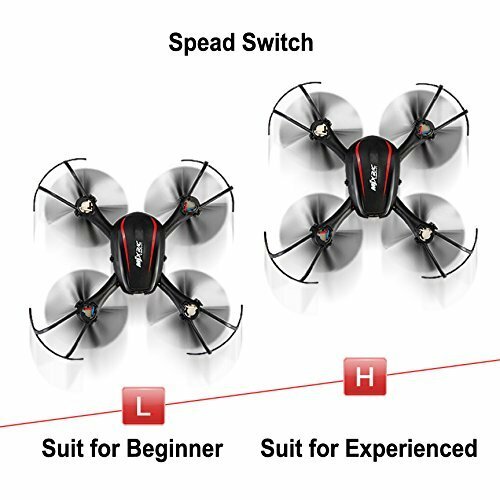 Mini size makes it suitable for both indoor and outdoor flying. Wow, the flying black spider is approaching. 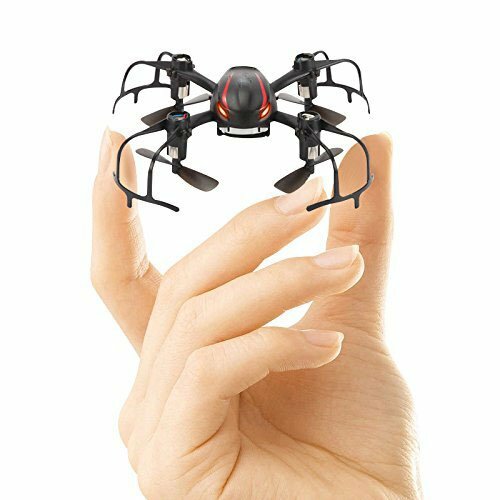 - 2.4g Technology Adopted for Anti-Interference, Even More Than One Quadcopter is Flying at The Same Time They Will Not Interfere With Each Other. - Quad-rotor Design Insure More Stable and Powerful Performance and Make All Kinds of 3D Action More Easier. - New Designed Structure Makes Assembly and Maintenance Easier. - Adoption 2.4G Auto Connection Technology, Scores of Quad-copters Can be Play at the Same Time. 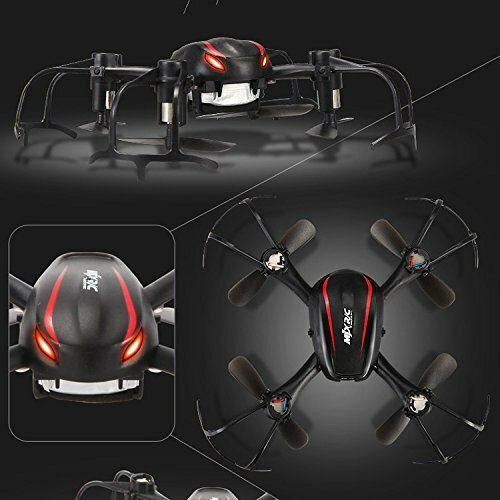 This Quad-copter Has the Characteristics of Stable Flight and Easy Operation. - Full Charged Battery Can Support 4-7 Minutes Steady Flight. THE FLYING BLACK SPIDER DRONE: Motor and Propeller Downside design. Make the drone looks cool, different and special. HIGH/LOW SPEED SWITCH: low speed for beginner, high for skilled aviator. Make your flight easier and safer. FUN TO FLY: 3D flip and LED flashing light make your flying full of fun. STABLE FLIGHT: 2.4GHz Technology and 6 axis stabilization system for smooth flight SAFE GARD: The build in protective frame makes your drone more durable.